Just when you thought baseball was back in West Michigan, Mother Nature flashed her saucy sense of humor and walked away with the upper hand. Thanks to a mix of rain, wind and snow, the Whitecaps have been forced to bump their home opener to Friday as a part of a double-header beginning at 5:00pm. The twin bill will feature two seven-inning contests with a 30-minute break in between. 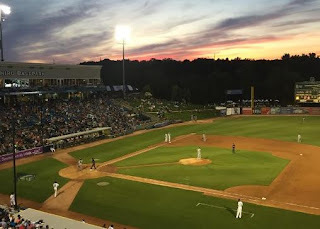 New West Michigan addition Kyle Funkhouser is slated to start the opener for West Michigan. Spending the 2016 season with Short Season Connecticut, Funkhouser tossed 13 games for the Tigers, allowing 11 earned runs and fanning 34 over 37 1/3 innings of work.